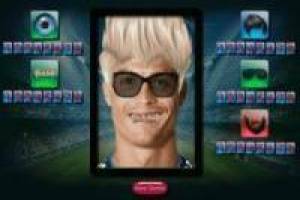 The world of football has called a superstar Cristiano Ronaldo, he is a Portuguese player currently militating in the ranks of Real Madrid and the Portuguese national team. Footballer born in Funchal, Madeira, plays forward on both computers, is known for his great physical attractiveness, with a height of 1.85 cm and weighing 80 kg. Cristiano Ronaldo is also known in the fashion world for having a great taste and care over its image. 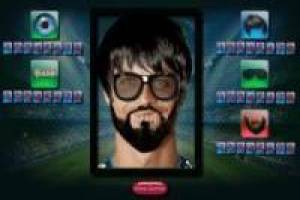 In this super fun game you will spend time as it can transform the face image of the player. You have 8 options to change the color of your eyes, teeth, hair, glasses and beard. 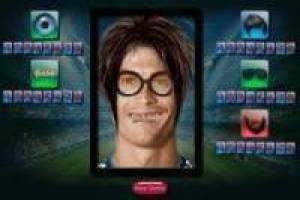 Demonstrate your creative talent by different images of this football star. 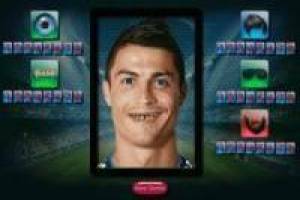 Enjoy the game Ronaldo funny face, it's free, it's one of our ronaldo games we've selected.